For most people, when it is your first time to work with Microsoft Excel, you will concentrate on just completing your task rather than learning how to work efficiently for a faster completion of your task. That can usually be said for any software application. However, when you are ready to learn about the keyboard shortcuts that are used in Microsoft Excel, this free Excel help article will provide you the most significant and beneficial Excel keyboard shortcuts that are presently available. The result, you are a better Excel consultant, you save time, and time is money. And that is one of the things we can help you to do: We help businesses use Microsoft Excel more efficiently. Keeping your hands on the keyboard is more convenient. It is quicker to move your hand from keyboard to mouse, to keyboard. This article has categorized the Microsoft Excel keyboard shortcuts into related areas. Through this way, it will be easier for you to learn a group of keyboard shortcuts at a time, rather than learning all shortcuts at once. Note: You have to remember that those keyboard shortcuts with a plus sign ( i.e. Ctrl + O ), means that you need to hold the first key, in this case the Ctrl key, then press the second key, which is O, while not releasing the first key. This small group of Excel keyboard shortcuts is probably the most important and fundamental among the Excell shortcuts. These shortcuts can be used to open, close and save your Excel workbooks. Ctrl + S: Its function is to save your Excel workbook. Ctrl + O: It functions by opening an existing Excel workbook. The following are the most common MS Excel keyboard shortcuts that you can use in editing your Microsoft Excel worksheet. The most favorite shortcut in this group is probably the Ctrl + Z.
Ctrl + Z: This shortcut will allow you to undo the last change that you have made in your workbook. It can be used repeatedly to remove the changes again and again. Ctrl + Y: Its function is to redo your last undo. However, it can only be used if you have just utilized the Undo command. These keyboard shortcuts allow you to activate the different menus on the menu bar without using the mouse. But you have to note that the combination key of these keyboard shortcuts is the Alt key. Alt + H: Provides access to the Help menu. Alt + W: Provides access to the Window menu. Alt + D: Provides access to the Data menu. Alt + T: Provides access to the Tools menu. Alt + I: Provides access to the Insert menu. Alt + V: Provides access to the View menu. Alt + E: Provides access to the edit menu. Alt + F: Provides access to the File menu. After utilizing these keyboard shortcuts, you can use the arrow keys to select from the menu options and press the enter key to select a choice. These shortcuts are very helpful for a quick selection of items in your Excel workbook in different ways. Ctrl + Spacebar: This shortcut allows you to select the current column. Shift + Spacebar: Its function is to select the current row. These are just some of the keyboard shortcuts available in Microsoft Excel. You can go for further reading to learn more about them, or read more of our free Excel help articles written for Excel consultants and business users alike. 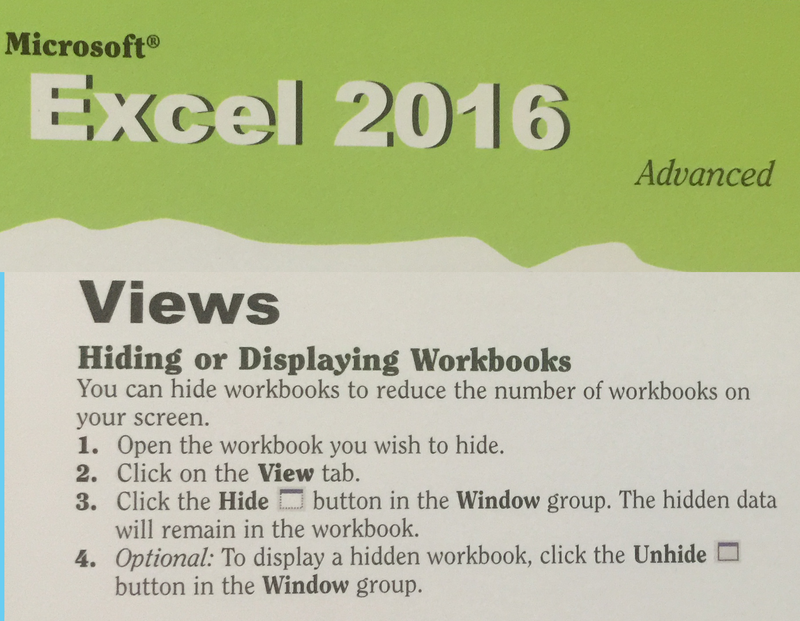 Posted on June 10, 2015 Posted in Free Excel Help and tagged Workbook, Keyboard shortcut, Learn, Worksheet, Shortcuts.